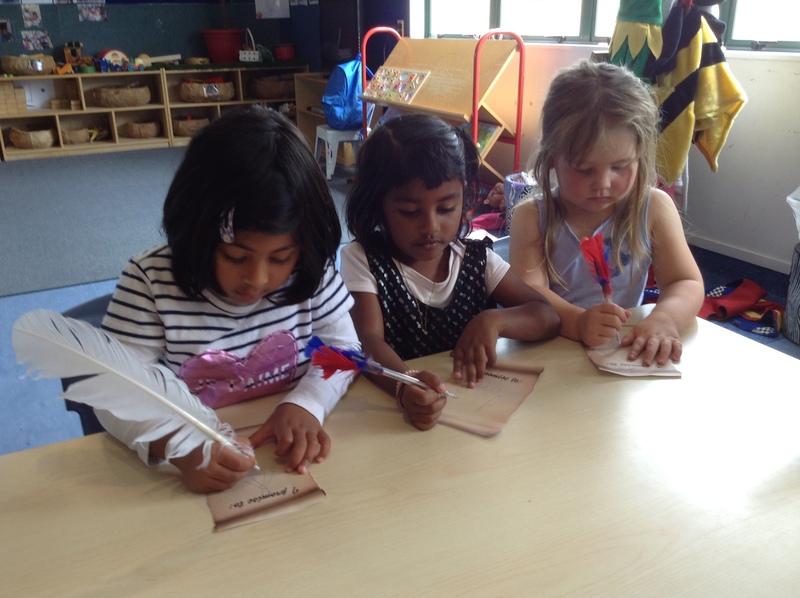 This week it’s been wonderful to share some Waitangi celebrations with children and teachers in early childhood centres. This morning I shared our Waitangi book and song over Skype with a centre in Auckland. 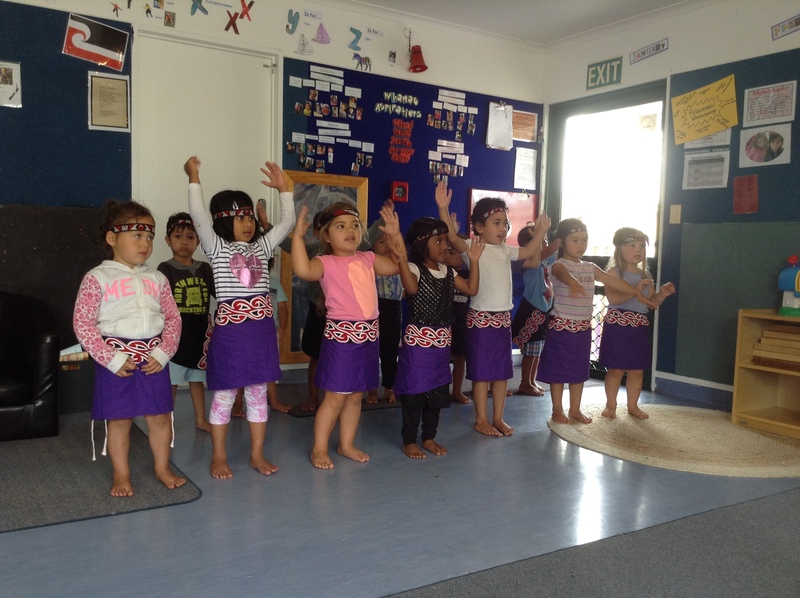 Yesterday I visited a centre in Hamilton to be part of their Waitangi celebrations. This morning’s Skype call with Lollipops Educare in Takapuna was the first time I have appeared “live” in a childcare centre without actually being there. At 9 am I was beamed in via laptop and could see the children all sitting patiently to do our Waitangi book with me. They were well-prepared by the teachers and seemed very engaged. I explained that the kaupapa of the book is asking who will honour the spirit of Waitangi by caring for the Māori culture and language, as well as our beautiful environment. 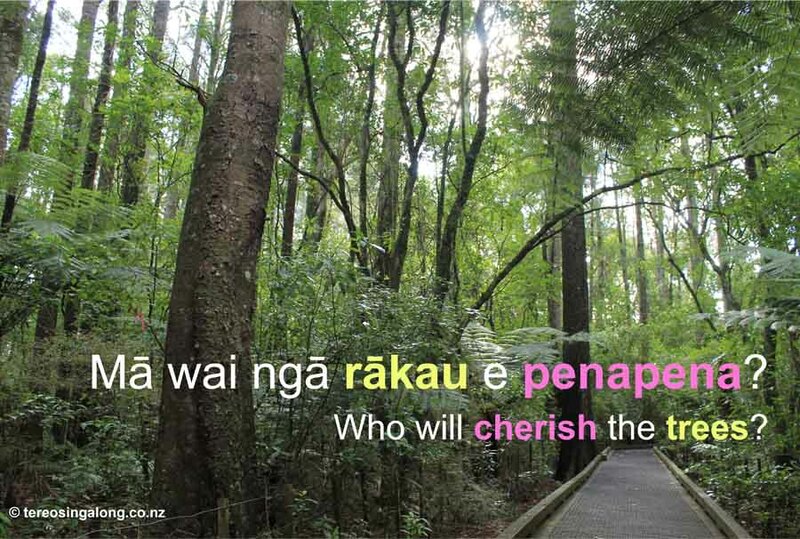 I also talked about the meanings behind the responses of “māu” (you will), “māku” (I will), “mā rātou” (they will) and the best of all – “mā tātou” (we all will). It was wonderful to see the children getting on board the waka and putting their hands up to acknowledge what they would do as the pages were turned, including cherishing the trees, reviving te reo and caring for our visitors. As a summary at the end, I asked them about every page and it was a real blessing to hear them shouting out “mā tātou” every time! I get many emails and calls from teachers about how much they enjoy using this book with children. I’m glad it’s an important part of our Te Reo Singalong kete. Yesterday’s Waitangi celebration at ABC Primrose was a bit of team reunion. Our singer/songwriter Stacy, our photographer Sophie, and I had a long overdue catch up and thoroughly enjoyed the children’s performance of Te Wairua o Waitangi – including actions! They went through the song and actions first, and then taught us the actions. Some of the children were a bit msp hack no human verification overwhelmed at first, but by the end of the song they had all been joining in enthusiastically. After the performance, the children wrote and signed their own treaties. I loved the feather pens! All the best with your Waitangi celebrations. Last year we were up at Waitangi for the launch of our Waitangi book and really enjoyed the celebrations up there. Ngā mihi mahana ki a koutou.